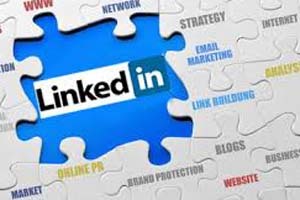 Home » How to manage your LinkedIn connections successfully? This is a question that several people ponder over. First of all, one needs to understand the difference between 1st degree connections, 2nd degree connections and 3rd + everyone else. These options typically appear when you search for someone in the search bar placed at the top of your LinkedIn Homepage. LinkedIn connections are of utmost importance. The more your no. of connections AND the more relevant no. of connections that you have, the better for your profile and business. 1st degree connections are those who have accepted your invitation or whom you have accepted as your friends. 2nd degree connections are immediate connections of your 1st degree connections. 3rd + everyone else implies those who are connections of your 2nd degree connections and those who are out of your network. Connecting via LinkedIn groups is also a popular choice for many. Especially LinkedIn Group Members who are in the same group as you are can be easily identified and added as your LinkedIn connections. I have 500 LinkedIn connections, what next? Well, when you browse up to your list of connections, these are some awesome features. You can view the email address and contact details of your 1st degree connections. You can export the email addresses of all your 1st degree connections and email them directly. Isn’t this great? You can view only the Twitter handles of your 2nd degree connections, through which you can try contacting them outside of LinkedIn. You can send a personal message to your 1st degree LinkedIn connections via Inbox. You can message 2nd degree connections as well if you buy the LinkedIn Premium and avail their InMail feature. You can get introduced to your 2nd degree connections via your 1st degree connections, free account allows up to 5 introductions. This is a great feature for recruiters and HR professionals especially. You can directly approach your connections asking them for a recommendation, endorsements or even crack business deals! You can make long-term friends, get their contact numbers and stay in touch via other media such as mobile phone, Whatsapp etc. Indeed, in today’s world, every serious professional must have an account on LinkedIn.com for connecting with professionals worldwide. Keep checking this space for tips on how to build a great LinkedIn connection list for your business. ⟵Why having a professional LinkedIn profile is important?